The service sector is the cornerstone of most modern economies, in Australia it accounts for around 70% of GDP and 80% of all jobs. Yet, service industries such as retail, tourism, professional services and non-profits face some key challenges. Many service industries operate in competitive environments, have lower productivity than manufacturing, face skills shortages and disruption from new technologies. Increasingly, automation and artificial intelligence (AI) are blurring the roles of humans and machines and reshaping the service landscape. Today customers demand excellent service, are well connected with access to considerable resources. The Service Innovation Alliance (SIA) brings together experts from different disciplines within UQ Business School to address these key business challenges. We help businesses to improve productivity, train and manage their workforce, measure and manage customer experience, explore new ideas and successfully introduce new technologies. 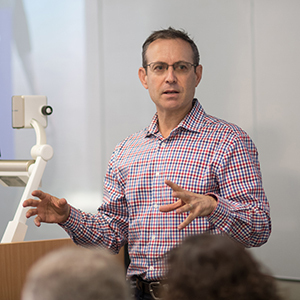 As one of the world’s leading service innovation groups, UQ Business School’s SIA offers a ‘one stop shop’ for research and training – encouraging debate, providing insights, educating leaders and informing the future of service organisations. The Service Innovation Alliance brings together experts from various disciplines within UQ Business School to address key business challenges. The Service Innovation Alliance (SIA) is led by internationally recognised experts Professor Janet McColl-Kennedy (Marketing) and Dr Christoph Breidbach (Business Information Systems). 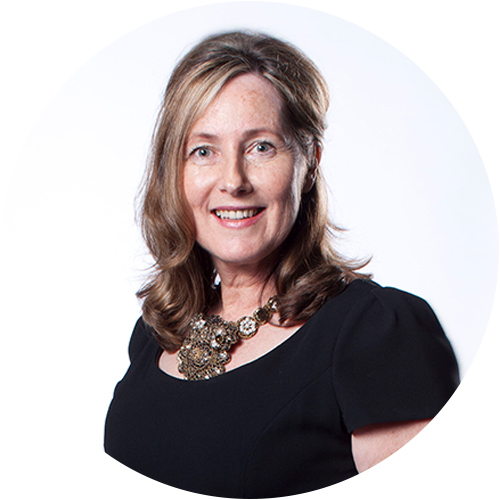 Professor McColl-Kennedy is a Fellow of the Australian Marketing Institute and leads several international teams comprised of members from the University of Cambridge, Karlstad University in Sweden, Cornell and Arizona State University, USA to name just a few. Dr Christoph Breidbach’s research interests addresses the fundamental question of how information technology transforms service ecosystems, and is positioned at the intersection of the Business Information Systems and Service Science disciplines. Professor Janet R. McColl-Kennedy – Services marketing, customer value and customer experience management, health professions and retail. Dr Christoph Breidbach – technology transformation, service ecosystems, information systems and service science. Dr Lilliemay (Lily) Cheung – transformative service research, service systems, value cocreation, resilience and wellbeing. 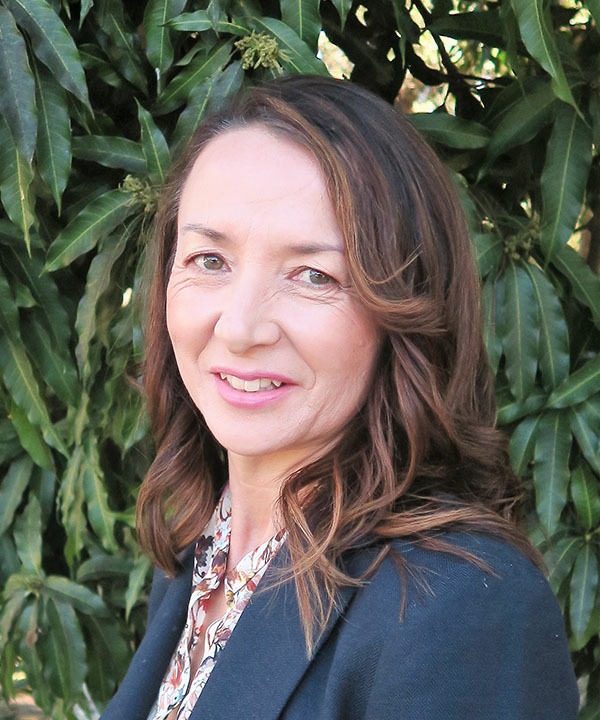 Dr Nicole Hartley – Services marketing, service technology and communication health, retail, tourism and not for profit. Professor Marta Indulska – Process improvement and modelling, data quality, retail and government services. Associate Professor Tim Kastelle – collaborative network structure, innovation performance and Evolution of national innovation systems. Dr Kumar Rakesh Ranjan – Process improvement and modelling, data quality, retail and government services. 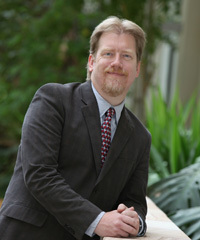 Professor Brent W. Ritchie – Risk and travel health/safety, sustainability, tourism and aviation. Associate Professor David Solnet – Service work/worker (attraction and retention, engagement, youth), service management, hospitality and tourism. Dr Alastair Tombs – Services marketing, consumer emotions, retail and service environments. Professor Martie-Louise Verreynne – Innovation and entrepreneurship, business models, service businesses and government. Dr Gabby Walters – consumer behaviour, image and reputation management and recovery, hospitality and tourism. Associate Professor Jay Weerawardena – Services marketing, innovation and social impact, not for profit sector. International Visiting Professor Ruth N. Bolton from the W.P. Carey School of Business, Arizona State University joined UQ Business School in March 2019. Ruth is Professor of Marketing at the W.P. Carey School of Business, Arizona State University. She studies how organisations can improve business performance over time by creating, maintaining and enhancing relationships with customers. Her recent research has focused on the customer experience, multi-channel management and high technology, interactive services in global business-to-business markets. Professor Bolton often conducts her research in partnership with businesses such as the Marriott Corporation, Hewlett-Packard, Coherent Inc., The Cooperators, and Schneider National Inc.
She also spent eight years with Verizon, working on projects in the telecommunications and information services industries. 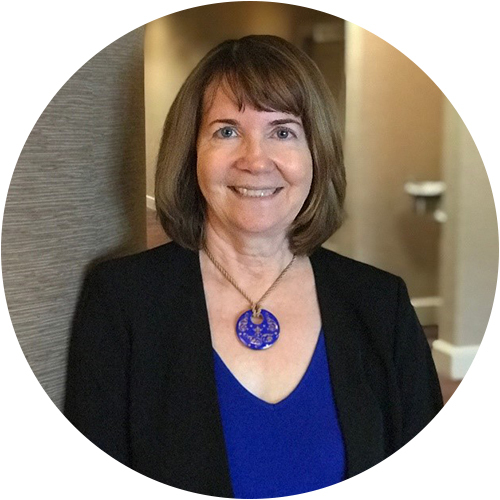 Ruth has published articles in the Journal of Consumer Research, Journal of Marketing, Journal of Marketing Research, Journal of Service Research, Management Science, Marketing Science, and other leading journals. She received her B.Comm., with honours, from Queen's University (Canada), and her M.Sc. and Ph.D. from Carnegie-Mellon University. She has also participated in executive education programs around the world. 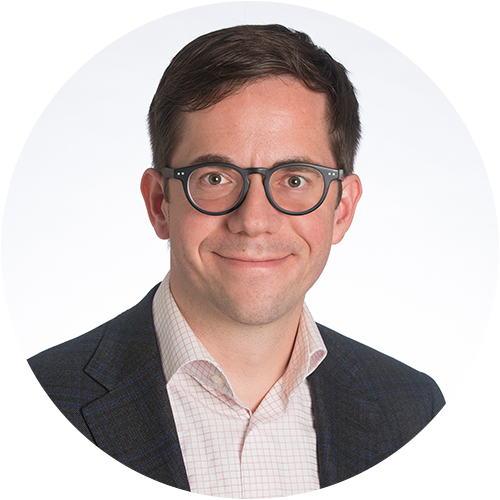 Professor Bolton previously held academic positions at Vanderbilt University, the University of Oklahoma, Harvard University, University of Maryland, and the University of Alberta, and served as 2009-11 Executive Director of the Marketing Science Institute. She received the 2016 American Marketing Association / Irwin / McGraw-Hill Distinguished Marketing Educator Award, the 2007 Christopher Lovelock Career Contributions to Services Award and the Routledge – Taylor & Francis / SMA Distinguished Scholar Award. Awarded to only a select few marketing academics, these awards recognise distinguished service and sustained outstanding contributions to the field of marketing. Ruth served as editor of the Journal of Marketing (2002-2005) and Area Editor of the Journal of Marketing Research (2005-2007), as well as serving on the Editorial Review Boards of other leading marketing journals. Professor Bolton has also served on the Board of Trustees of the Marketing Science Institute and the Board of Directors of the American Marketing Association. She currently serves on the Board of Directors of the Sheth Foundation as Vice-President. UQ Business School is a world leader in service research. With a strong team of academics actively engaged in services projects, few institutions can rival the breadth of our work. UQ Business School’s research in service innovation is recognised internationally not only for the quality of our work, but for its practical application to businesses. Our research helps service organisations to improve productivity, train and manage their workforce, measure and manage customer experience, explore new ideas and successfully introduce new technologies. The SIA aligns with The University of Queensland’s research strengths in healthy ageing, technology for tomorrow, and transforming societies. We work with a diverse scope of government and industry partners including visitor attractions, hotels, resorts and service providers worldwide. The research theme is underpinned by three interconnected areas of focus; customer experience, service workforce and service innovation. Customer experience research looks to understand customer needs, emerging markets, experience co-creation and design. It also has an important focus on technology trends, including understanding customer responses to service robots, artificial intelligence, machine learning and address digital privacy issues. 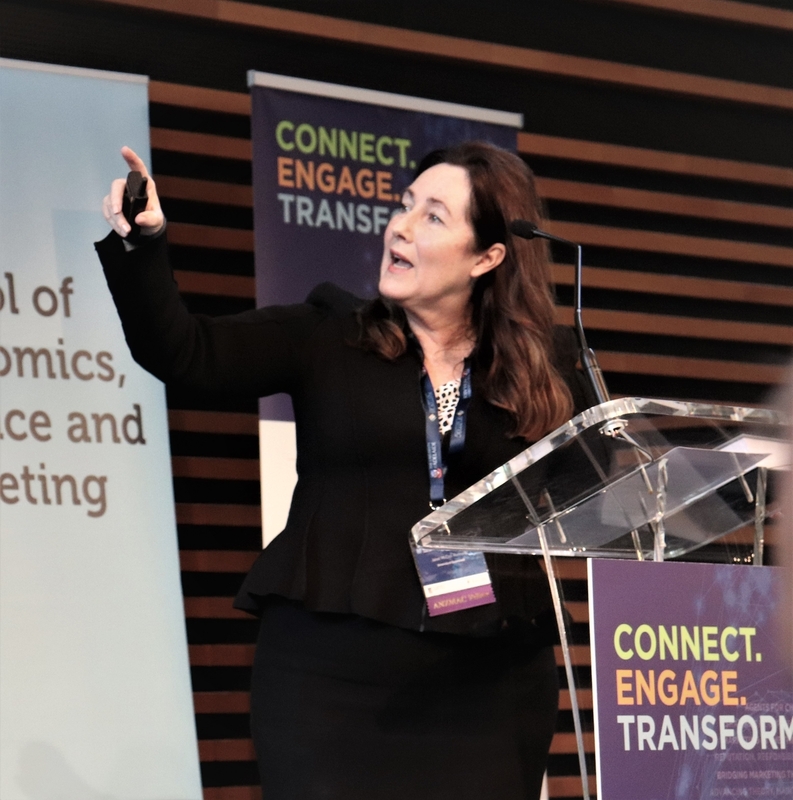 Co-Lead Janet McColl-Kennedy recent paper Gaining Customer Experience Insights That Matter explores customer experience in a business-to-business setting. Read her interview delving into the motivation and impact of this research. Service workforce focuses on understanding future labour market challenges, such as future workforce skills and the impacts of automation, mobile technologies and self-service technology, productivity and emerging changes in employee-organisational relationships. Service innovation explores service model design, measurement of service outcomes and digital technologies. We help service organisations to understand and implement technology trends, including how customers respond to robots and using big data to personalise their services. Co-Lead Janet McColl-Kennedy recently presented as one of the Australian and New Zealand Marleting Academy (ANZMAC) Fellows at a Special “Fellows session” to mark the 20th birthday of the Academy, held in Adelaide. You can find her slides on Service Research – past 20 years and the big topics for the next 20 years HERE. 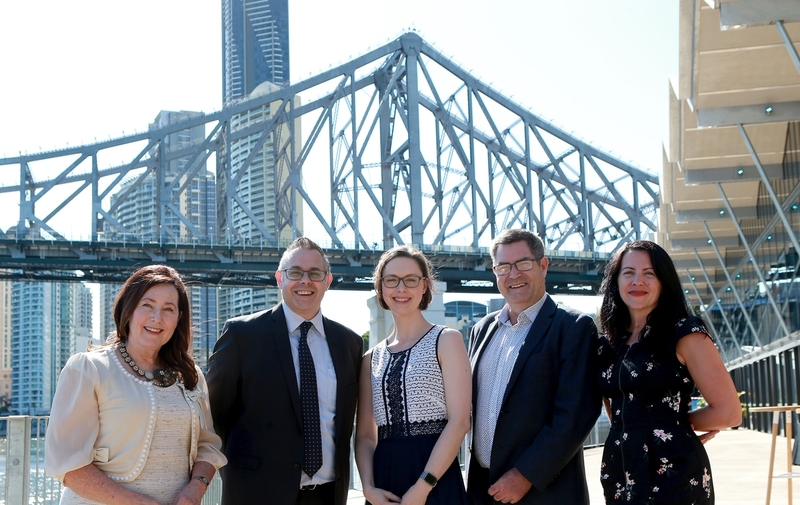 UQ Business School undertakes innovative, timely and high-quality projects across a range of disciplines to transform the future of service organisations. 2016 – 2018 Modelling Multidimensional Multiparty Decisions to Improve Outcomes for Customers and Service Providers: New Theory and Measurement Tools. ARC Discovery Grant: $330 000. Researchers: Professor Janet McColl-Kennedy (Lead), Assoc. Professor Len Coote, Professor Claire Wainwright, (UQ Medical School) Professor Scott Bell (UQ Medical School), Professor Michael Brady – Florida State University. ARC Linkage Grant: $1.1 million including $180 000 from ARC. Researchers: Professor Pennie Frow – University of Sydney (Lead), Professor Janet McColl-Kennedy – UQ Business School, Professor Adrian Payne – UNSW, Dr Rahul Govind – UNSW. 2017 – 2021 Protecting international tourists from harm: Developing an effective tourist hazard information system. Japan Society for the Promotion of Science (ARC Equivalent in Japan). Kaken Scientific Research B Grant in Aid: $2.9 million Yen (AU$205 000). Researchers: Professor Brent Ritchie, Takahashi Yoshino, Kade Sano, Hayato Nagai. 2015 – 2018 Consumer preferences for voluntary carbon mitigation in the aviation sector. ARC Discovery Grant $186 400. Researchers: Professor Brent Ritchie, Professor Stefan Gossling, Professor Larry Dwyer. 2016 – 2019 Encouraging voluntary purchasing of carbon offsets - a win-win. ARC Linkage Grant $160 000 +$40 000 from partners. Researchers: Professor Brent Ritchie and Professor Sara Dolnicar. 2016 – 2018: Learning Tourism Destinations: Creating Functional Partnerships and Initiating Positive Change for Sustainable Tourism Development in Local Economies. Value PESO$1.5 million – through Asian Institute of Tourism, University of the Philippines. 2018 – 2019 Development of an active video game for the long-term maintenance of exercise in people with COPD. Faculty of Health and Behavioural Sciences-Metro North Hospital and Health Services (CISSS) Research Collaboration Seeding Grant $39 535. Researchers: Professor Trevor Russell Ms Jennie Money (MNHHS), Dr Nicole Hartley and Dr Allison Mandrusiak. NHMRC Project Grant 2017 2017-2020 $252 000. Researchers: T Russell, N Gillespie, N Hartley, D Theodoros, A Hill & L Gray. 2017 – 2010: An investigation of the effects of education on data quality perceptions and data quality. Mater Medical Research Institute Limited. Researchers: Shazia Sadiq and Marta Indulska. 2016 – 2018: The Open Innovation Process: Factors and Technologies that Matter. ARC Discovery Projects $330 000. Researchers: Marta Indulska, Professor Martie-Louise Verreynne, John Steen. 2016-2019: Youth employment in hospitality and tourism: impacts, effects and legacy of early employment experiences. Queensland Tourism Industry Council $66 000. Researchers: David Solnet and Richard Robinson. 2018 – 19 Enhancing the student experience within dual program courses: meeting the challenge of the new Bachelor of Advanced Business (honours) program. UQ teaching fellowship grant $50 000. University of Canterbury (NZ) team based research initiative $19 756. Researchers: J Finsterwalder, A Tombs, C Chen, M Hall & G Prayag). 2017-2022: ARC Training Centre for Innovation in Biomedical Imaging Technology. ARC Industrial Transformation Training Centres. Part of a team of 10 people. 2017-2018: Creating wealth in smallholders farms through efficient credit systems in Pakistan. Researchers: Associate Professor John Steen, Dr Shabbir Ahmad and Professor Martie-Louise Verreynne. 2016-2018: The Open Innovation Process: Factors and Technologies that Matter. Researchers: Professor Marta Indulska, Professor Martie-Louise Verreynne, Associate Professor John Steen. Today’s leaders are faced with a fast-changing business landscape, challenged with digital disruption, artificial intelligence and constant consumer shifts. Stay ahead with a program designed to innovate the way you manage and deliver service. The Master of Leadership in Service Innovation is a new online program designed to professionally challenge and develop students into exemplary leaders at the front of cutting-edge service practices including innovation, science and management. 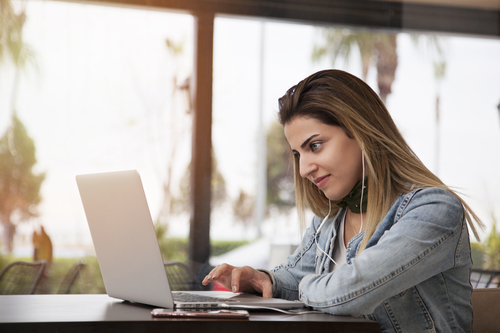 The UQ Business School partnered with international learning platform edX to deliver this online master’s degree to students around the world – with full access to UQ student support. Today’s business environment is changing rapidly. Digital disruption, automation, artificial intelligence, socio-demographic changes, and geopolitical shifts are just some of the factors that make managing challenging – not just for businesses, but also for public sector and not-for-profit organisations. This program adopts a cross-disciplinary perspective aimed at developing the transformational mindset needed for leaders in a rapidly changing world. It combines two critical challenges facing managers in the fast-evolving world of business. The Master of Leadership in Service Innovation systematically takes participants on a journey starting with the economic changes from product-based value to today’s experience-based model. It then works through all foundational aspects to ensure leaders are prepared for the future by equipping them with organisational resilience and adaptability to change. If you'd like to get a feel for the Master's program before you apply, start with the Business Leadership MicoMasters from The University of Queensland. 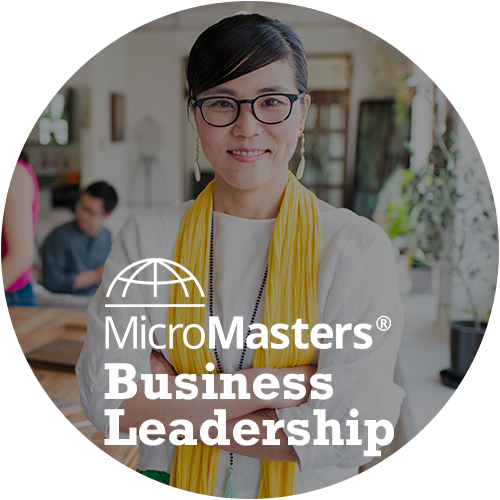 This MicroMasters program can also count as 8 of the 24 credit units required for the Master's Degree in Leadership in Service Innovation from The University of Queensland if you apply and are accepted into the program. MicroMasters programs are offered by edX in connection with its university partners. Three leading researchers will join the Service Innovation Alliance Interdisciplinary Research Theme in 2019. Associate Professor Tim Kastelle and Dr Lily Cheung joined the group from January 2019, and Dr Christoph Breidbach will be officially joining from July 2019. Associate Professor Tim Kastelle’s research, teaching and engagement work are all based on his study of innovation management. Tim has published widely in the leading innovation journals. He is deeply committed to translating research into practice. He writes a well-regarded innovation blog for managers and he has worked extensively with a wide range of organisations. He has also worked closely with the CSIRO to build the national research commercialisation program ON Prime (oninnovation.com.au/programs/on-prime). Dr Kastelle graduated from Princeton University with a degree in economics, and completed his MBA and PhD at UQ. Tim has worked in marketing and management positions in a variety of industries including radio, office equipment, industrial chemicals, higher education and software, and these experiences inform both his research and his teaching. He is currently the MBA Director for the UQ Business School, and runs the School’s collaborations with the Wharton and Fudan Business Schools. Dr Lilliemay (Lily) Cheung is a Senior Research Fellow in the UQ Business School. Her thesis addresses how resource integration in social networks improves social health and wellbeing following natural disasters. Lily is passionate about understanding how service systems can support individuals, communities and social enterprises to create change. Her research interests include transformative service research, service systems, value co-creation, resilience and wellbeing. Prior to her academic career Lily provided marketing communication expertise to healthcare organisations including Queensland Health, Diabetes Australia and The National Heart Foundation. Her work is published in leading peer-reviewed journals, including Journal of Service Marketing, Journal of Service Management, Marketing Theory, and the Medical Journal of Australia. 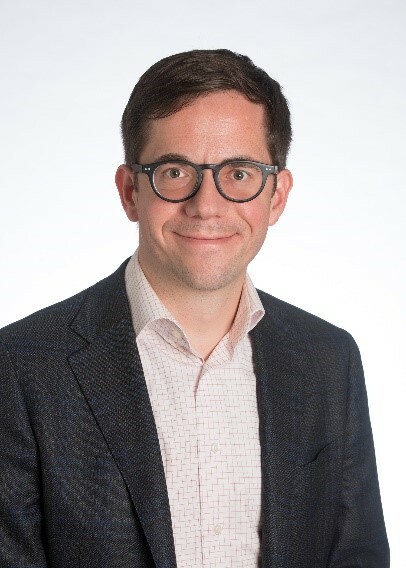 Dr Christoph Breidbach will officially join UQ Business School in July, coming from The University of Melbourne's School of Computing and Information Systems. He previously held positions at University of California Merced, and was a visiting researcher at IBM’s Almaden Research Center. His empirical and conceptual research addresses the fundamental question of how information technology transforms service ecosystems, and is positioned at the intersection of the Business Information Systems and Service Science disciplines. Dr Breidbach’s publications consistently appear in leading journals like the Journal of Service Research, Industrial Marketing Management, Managing Service Quality, Journal of Service Theory and Practice, Service Science, as well as the ICIS, ECIS, ACIS and HICSS Proceedings. He serves on the Editorial Boards of the Journal of Service Research, Journal of Service Theory and Practice, as well as the Journal of Business Research, and is president of the special interest group Services at the Association of Information Systems. Eye-Tracking Technology that identifies how people interact with stimuli, the features that capture viewers’ attention and how they navigate their way around the stimuli. Psycho-physiological measures of emotion including Skin Conductance Measures; Facial Electromyography; Heart Rate Monitor and Facial Emotions Recognition software allows us to measure the impact of certain events, scenarios and other forms of stimuli on people’s emotions. This equipment captures the intensity of real time emotions and determines the nature of emotion the participant is experiencing. This data can be collected within a lab setting or in the field. 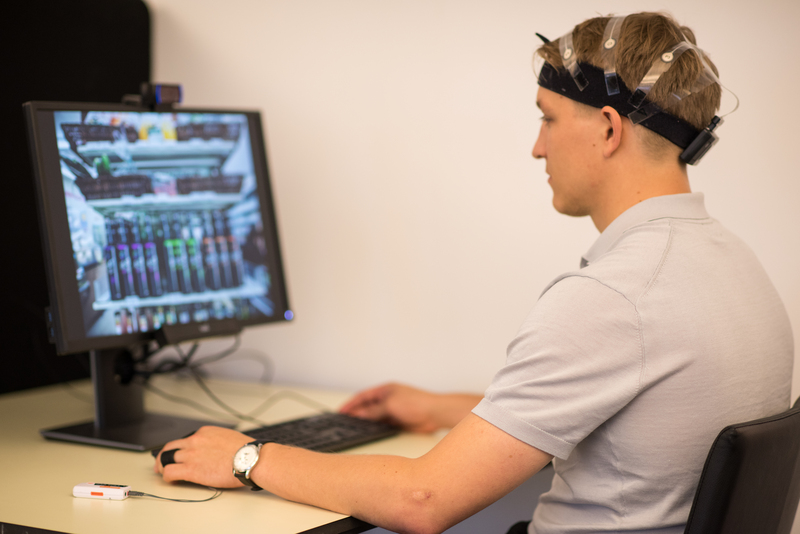 Electroencephalogram or EEG allows researchers to capture, visualise and export raw EEG signals and frontal lobe asymmetry output. This data can allow for the assessment of motivation, engagement, relaxation, excitement, interest (avoid vs approach) and stress and is highly useful for the study of actual versus intended behaviour and cognitive workload. Virtual Reality Technology. Our VR technology can immerse respondents into simulated environments that represent a variety of contexts or situations. This allows us to assess likely responses to multiple scenarios in a controlled lab setting and minimizes the risk of interference from other variables or activities that may occur if the research were to be undertaken in the field. Our lab is equipped with iMotions technology which is the only software in the world that can synchronise data collected from all of the above devices. This enables the analysis of emotive and cognitive responses to a variety of service scenarios across many contexts. Customer experience is central to marketing. Providing a meaningful customer experience is viewed as essential to achieving competitive advantage and satisfied customers. Organisations that carefully manage the customer experience reap rewards such as increased customer satisfaction, revenue growth, increased customer loyalty and greater employee satisfaction. But to date, knowing what to measure and how to gain rich insights that matter through multiple data sources, especially what to do with open-ended feedback has not been clear. The first empirical study of customer experience, published in the February 2019 issue of the Journal of Service Research and conducted by the Service Innovation Alliance’s Co-Lead, Professor Janet R. McColl-Kennedy, with international colleagues Dr Mohamed Zaki, Professor Katherine N. Lemon and Dr Florian Urmetzer and Professor Andy Neely shows that rich feedback can be used to identify previously unrecognized, critical touchpoints in the customer experience and to take specific actions to strengthen the customer experience, thereby enhancing revenue growth, customer loyalty and employee and customer satisfaction. Often, open-ended feedback that firms receive is ignored, or simply categorized broadly as a complaint or a compliment. The authors show that this rich feedback can be used to identify previously unrecognized, critical touchpoints in the customer experience. “Touchpoints to be improved should be mapped out from the customer’s perspective, not solely from the firm’s perspective,” notes Professor Janet McColl-Kennedy, lead author of the study. “Firms need richer models to be able to identify key pain points from the customer’s perspective, and then map these onto specific root causes that represent key opportunities for improvement of the customer experience from the firm’s perspective”, says Janet. McColl-Kennedy, Zaki, Lemon, Urmetzer and Neely develop a conceptual framework that incorporates customer touchpoints, value creation elements, emotions and cognitive responses, and then apply the framework, using advanced text mining techniques, to two years of customer feedback in a complex B2B heavy asset service setting. Their technique enables a firm to (1) identify critical touchpoints from the customer’s perspective – including potentially new touchpoints that had been previously unknown, (2) understand what specifically matters to the customer about each touchpoint, (3) map each touchpoint to its root cause, i.e., the specific firm action or strategy that influences the touchpoint, (4) take specific actions to improve the touchpoint and the overall customer experience (CX). Large amounts of data, including textual data such as verbatim comments from customers, are now generated at many touchpoints in the customer journey. Text mining is well suited to extract customer insights from unstructured comments and customer satisfaction data. However, text mining is not yet mainstream in marketing. Text mining and other emerging technologies offer potentially better ways to measure and manage customer experience. In their model, the authors connect qualitative data and quantitative data with a text analytics approach. The authors identify seven root causes for the complex B2B service. Each of these represent opportunities for improving the CX. They seven root causes are: capability, communication, parts, price value, process adherence, quality and service capacity. The model enables firms to identify what specifically is influencing and responsible for each root cause. For example, the “parts” root cause will have aspects of resources (the firm’s online parts system), activities (customers picking up and collecting parts), context (availability on weekend), interactions (customers engaging with employees to get the parts), and customer role (active or passive). With this depth of understanding of each root cause, firms can easily determine what needs to be changed to improve the customer experience. The model is also able to uncover customers who are at risk of leaving the firm, even customers who give high satisfaction scores (or NPS scores). 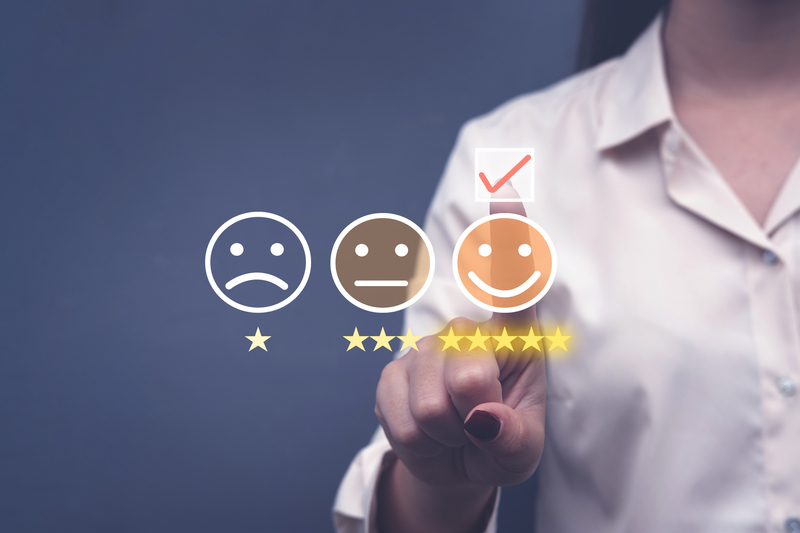 Customers with high satisfaction scores would be seen by the firm as “satisfied”, or those with high NPS scores would be deemed “very likely to recommend”, and therefore not identified by the firm as requiring attention; yet the authors find that these customers are clearly voicing their concerns in the comments. One supposedly satisfied customer lamented, “I would like someone from [participant company] to read the comments in this survey and come out and inspect the machine and discuss it because I'd asked for an extended warranty on the machine because it wasn't right for several months”. The authors uncover an entire “hidden” segment of supposedly highly satisfied customers who voice significant concerns. Their analysis shows that 42% of customers who give scores of 9.5 and above (out of 10) actually complain, as do many who give scores between 7 and 9.4 (44%). Complaints made by customers who gave satisfaction scores of 7 or greater were often ignored, despite these customers being worth over $250,000 on average and accounting for a significant portion of sales. Sales figures shows that when these customers’ concerns were not addressed sales went down significantly. For instance, one such “satisfied” customer reduced its purchases from over $200,000 to less than $2000. The key insight? Ignoring the small details that can be identified through the authors’ text analytics model can mean big losses for firms. The authors’ approach enables firms to link customer-centric CX elements from the conceptual framework (identified as potential pain points) to specific firm functions and jobs (identified as root causes) to take specific actions to strengthen the customer experience. Although this may sound complex, the article provides a step-by-step guide for implementing the approach highlighting what really matters to customers and what actions are needed by managers. Customer experience has become a central focus of business excellence. Providing a meaningful customer experience is viewed as being essential to achieving competitive advantage and satisfied customers. Organizations that carefully manage the customer experience reap rewards including increased customer satisfaction, increased revenue and greater employee satisfaction. Delving into the motivation and impact of her research.